It is important to remember that you are the one who can best describe what is going on with your body. You are the one who knows the history of your health. You hold so many of the clues that your doctor needs to help with making a correct diagnosis, and determine what course of treatment is needed. You also are the one that needs to understand as much as possible about your health care. 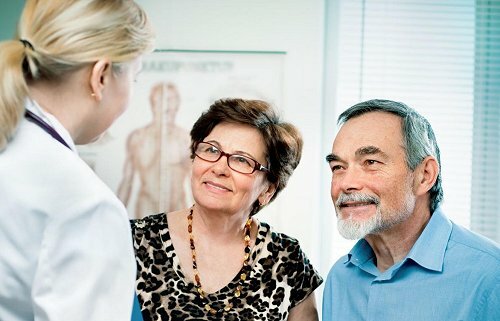 When you go to the doctor, what is the purpose of your appointment? Are you going with a specific problem that you want to get taken care of? Is this a periodic wellness check? Do you need to have a check of your medicine? It is very important to plan for your appointment. Go with a list of questions that you want to ask your doctor, or things you want to talk about. Write these down – go with a plan, and with questions. Take information with you that will help the doctor. If you take medications, vitamins, and any other supplements, your doctor needs to know about all of them. If you have any allergies to medications, be sure to let your doctor know. Take a list of what you use, listing the dosage, strength, and what time(s) of the day you take them. Sometimes patients take the actual bottles with them to the doctor, which could work for you. Be sure to include everything you take. Sometimes vitamins and supplements can interact with certain medications, and the doctor can adjust the medications accordingly. Ask about side effects of any medicines, and if there are things you need to be aware of. Be sure to check when you get your medicines, to make sure they are the ones that were ordered. If the medicines don’t look like what you expected, have the pharmacist double check, to make sure they are the right ones. It is important to write down your health history. You will be asked this many times – at every doctor’s office, at in-patient or outpatient treatment facilities. It is very good to keep a notebook of all your medical information. You can and should ask for copies of the results of any tests that are done. Every time you get blood tests done, you are entitled to a copy of them. You are also entitled to the results of other types of tests. This will help you and your doctor, as well as any future doctors you may go to. Sometimes there are problems getting medical records transferred, especially in an emergency situation. You should be aware of how some of your important numbers are changing over time. If you have diabetes, be aware of what how your A1C numbers are changing. Everyone should be aware of the numbers that measure heart health. Keep track of your cholesterol and other lipid numbers. Note if they are changing over time. Make sure that you get to cover the concerns and questions that you have. This is your appointment. If treatments are recommended, make sure you understand what they are. You need to know how long a treatment will take, and what will be involved. Ask about the recovery – what will it be like, what you can expect to be able to do during your recovery, and how long it will be before you will be back to your regular activities. It really helps to have another set of ears at the doctor’s appointment. When you have a problem you can be very anxious and not get all of the needed information. The advocate could be a spouse or other family member, a friend, or a caregiver. I always go with my husband, and vice-versa. I also go with my very elderly mother, and have gone with other family members and friends. The doctors have always been open to having someone else there to help the patient get the most out of an appointment. Be sure that anyone who goes with you respects that you are the patient, and lets you interact to get the information you need. It helps the doctor if that person can be seated or standing next to you, so the doctor can talk to both of you at once. If there are examinations, procedures, or questions that you need to have privacy for, your medical companion can step out of the room for these. Your companion could even take notes, if there is information that you will need later. Write down names of procedures, with their correct spelling. If there is a diagnosis, write it down accurately. If medications are prescribed, write those down. Ask for any brochures or printouts that the doctor could make available for you. Most doctors want their patients to be as informed as possible. There are also reputable sites on the Internet where you can get additional information after your appointment, if questions come up. Make sure that you understand when the results of any tests will be available. Have them mailed to you, so you can keep them in your medical notebook. If you need more information about the results, be sure you understand what the procedure is to be able to talk to your doctor after the results are ready. Also make sure you schedule any follow-up appointments while you are at the doctor’s office. You will feel better about your health care as you become the center of your medical team. You will also tend to get better medical care, being in this active role. You will better provide your medical team with information that they need to do their best. You will be more in control of your own health.